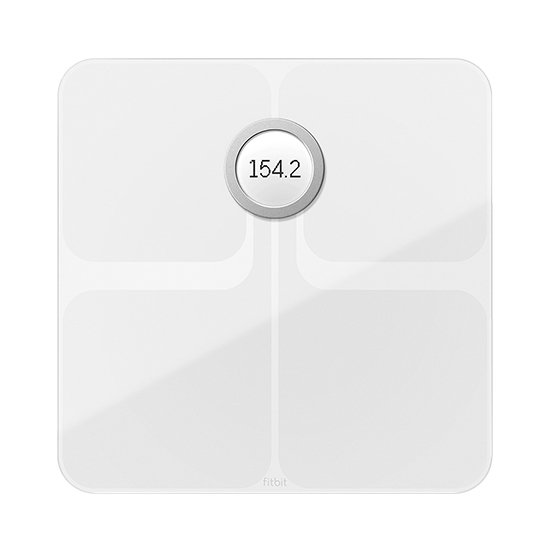 Monitor your body composition and wirelessly sync health data to a free online app with the white Aria 2 Wi-Fi Smart Scale from Fitbit. The Aria 2 measures your weight, Body Mass Index (BMI), lean mass, and body fat percentage to give you a more complete picture of your overall health. The scale recognizes up to eight individual users, and syncs their data to distinct accounts, so everyone's information remains private. It sends your stats directly to your Fitbit account using your home Wi-Fi network, so you can access your progress on the Fitbit dashboard 24/7. The Fitbit app displays your weight stats and progress trends in easy-to-read charts and graphs. Aria 2 also works with Fitbit trackers so you can set goals and receive the motivation you need to achieve them. 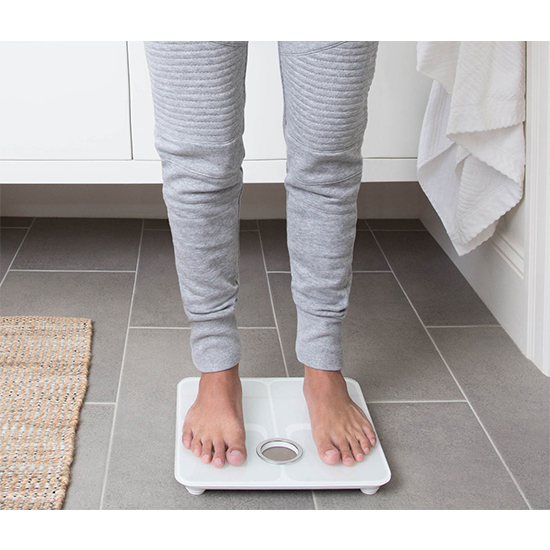 The Aria 2 Smart Scale is designed to work in humid bathroom environments and will resist moisture and condensation due to hot showers. It ships with 3 AA batteries so you can start using it right away. Track weight, body fat percentage, BMI (body mass index), and lean mass.